He is the legendary Lord of the Vampires. Dracula. Who would dare attempt to overthrow him? Only Dracula's son, Xarus, a ruthless and clever upstart with the bold ambition to unite all the world's vampire sects under one flag. But Xarus's older brother, Janus, isn't sure he likes the idea of a new regime and seeks allies to oppose Xarus. The ultimate battle for control of Earth's creatures of the night unfolds, with the future of the vampire race - and possibly the Marvel Universe - at stake. Plus: In a classic tale of sorcery and slaughter, witness the birth of Janus, conceived by magic! 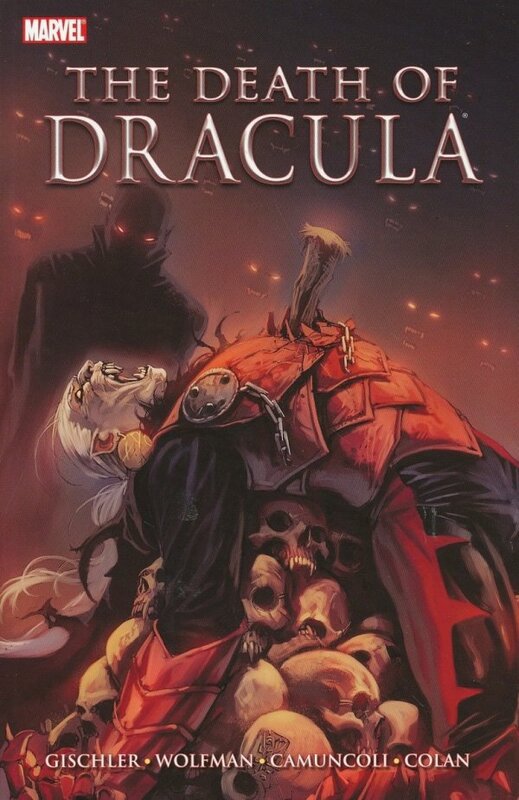 And when Janus is killed and revived as an adult, the war between father and son for control of all vampires begins! 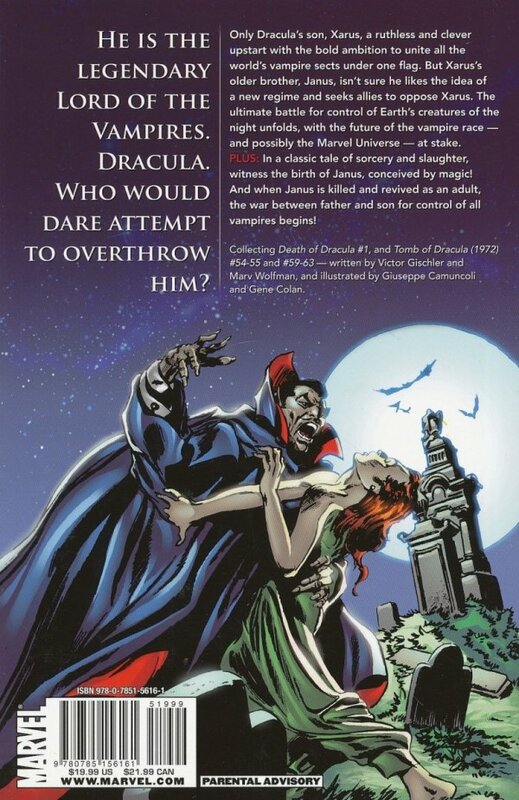 Collecting DEATH OF DRACULA #1, and TOMB OF DRACULA (1972) #54-55 and #59-63.